In my last Doodlebug post, I mentioned that I grew up in the 80's and I love looking back on photos from those days. I lived in Florida, and spent most of my time on the beach with books and a radio. 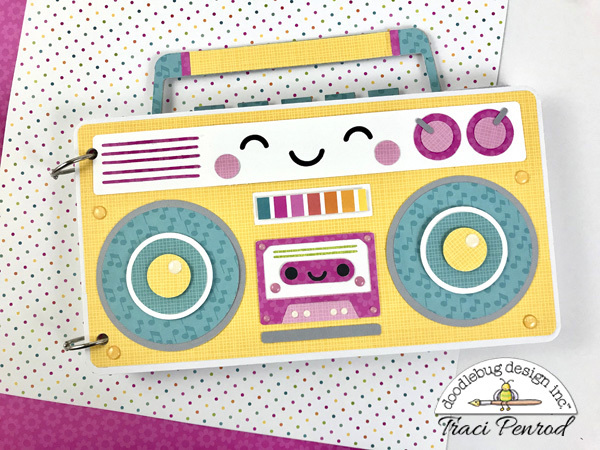 Of course, we called it a boom box back then, but mine was not as cute as the one in the Sweet Summer collection! Adorable right?! It started out as a cut file which you can get here, and then I enlarged it, added a few sprinkles, and turned it into a mini album. 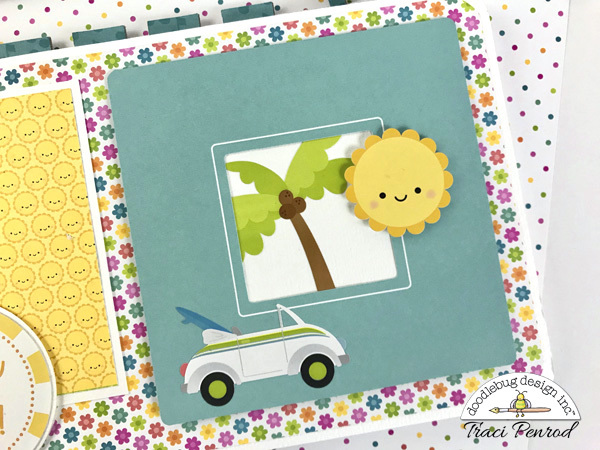 I used 12x12 Sweet Summer sheets for the page backgrounds, and some 6x6 sheets for photo mats. 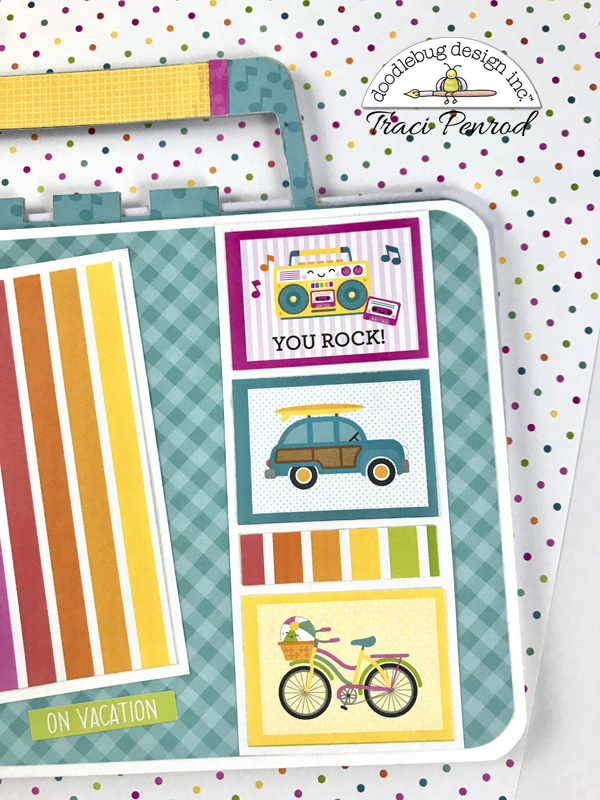 I love the little mini cards from the 6x6 paper pad! 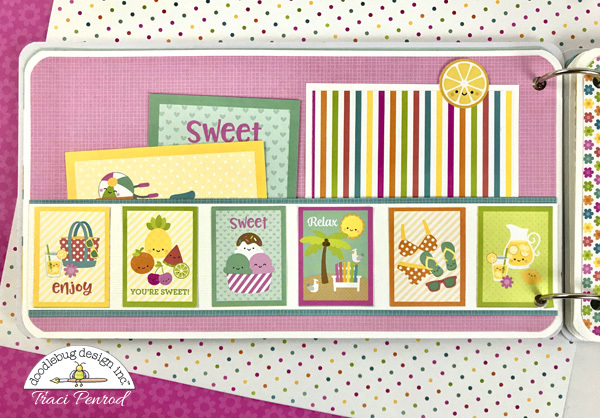 I also used envelopes and cards from the summer assortment pack. These are great for tucking photos, notes, and memorabilia inside. This was such a fun project! 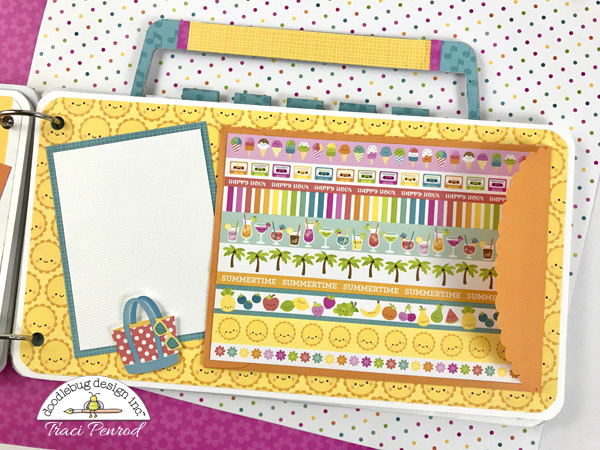 I hope I've inspired you to create something fun with Sweet Summer! If you are interested in this album, it will be available as a DIY kit in my Etsy shop. Details can be found over on my blog at Artsy Albums. Thank you so much! I hope you have a very Sweet Summer!! This is absolutely adorable!! !i can hear Journey and REO Speedwagon!!!! This is so cute. Hope I can be able to make this.